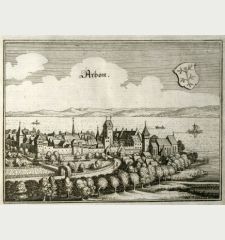 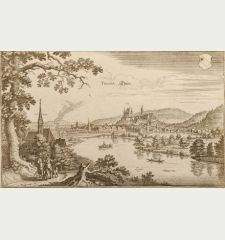 Antique woodcut town view of Zurich. 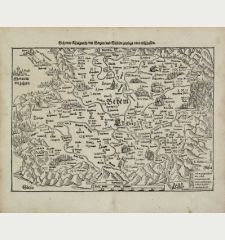 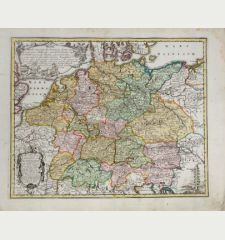 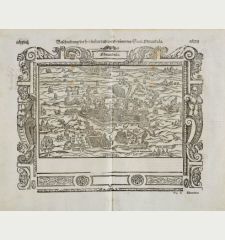 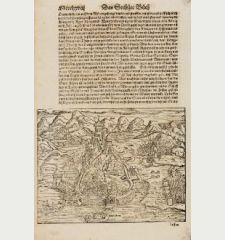 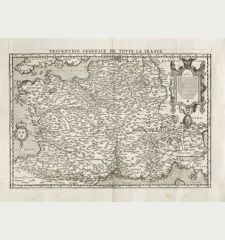 Printed in Basle by Petri circa 1600. 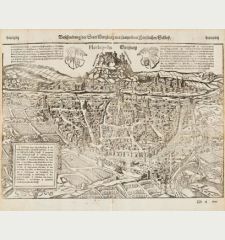 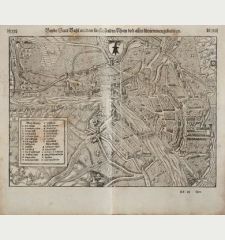 Early impressively detailed bird's-eye view of Zurich from Sebastian Munster. 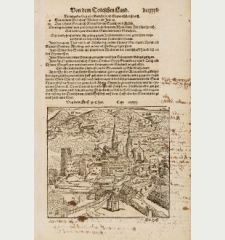 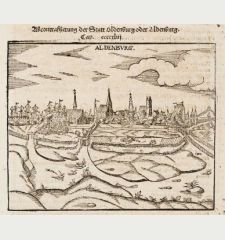 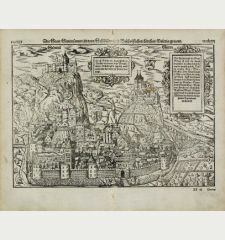 From a German edition of his 'Cosmographia', printed from a wood block around 1600 in Basel. 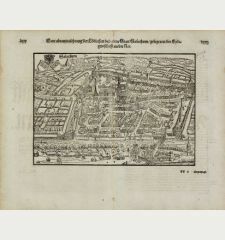 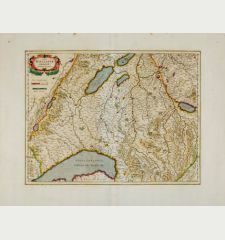 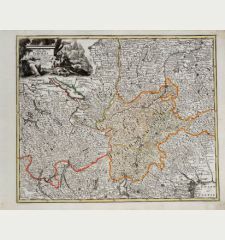 Extensive key at lower right, identifying several points of interest such as churches and markets. 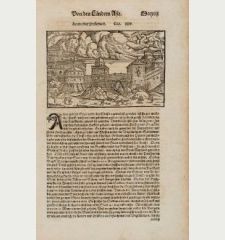 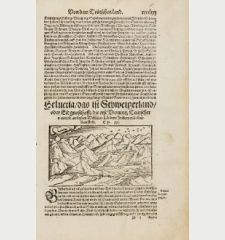 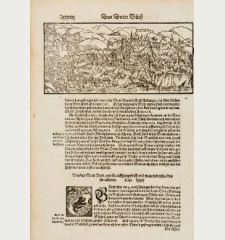 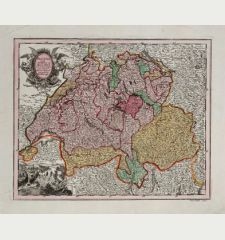 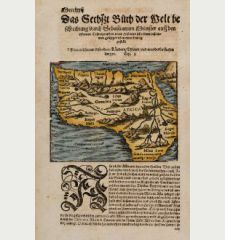 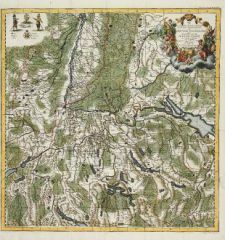 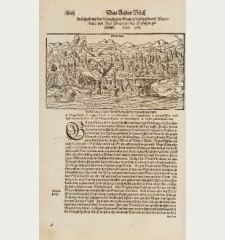 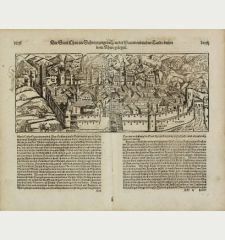 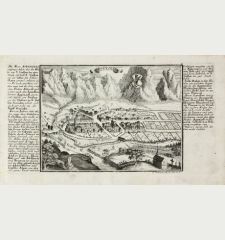 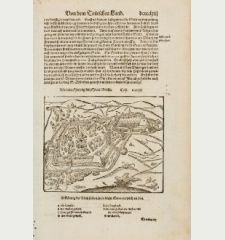 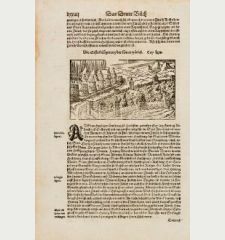 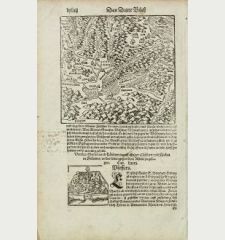 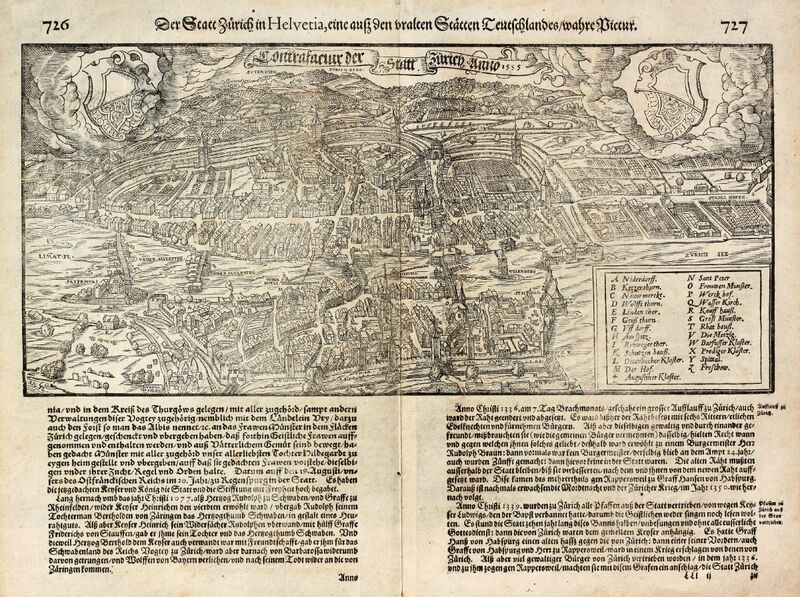 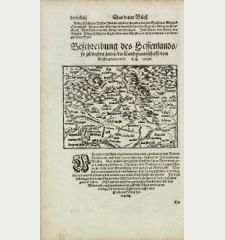 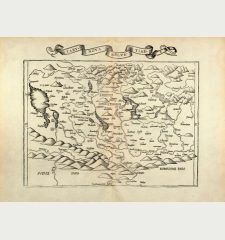 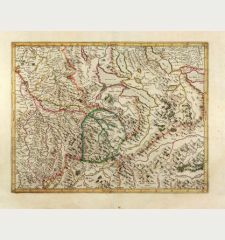 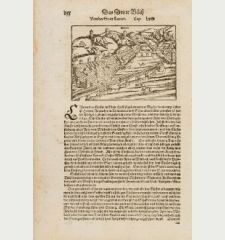 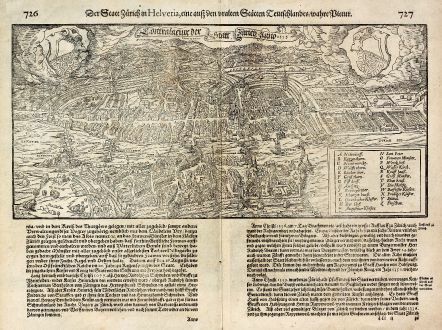 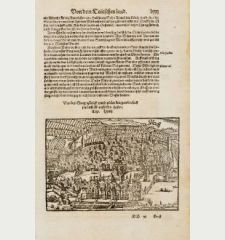 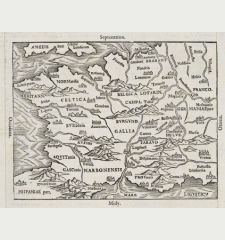 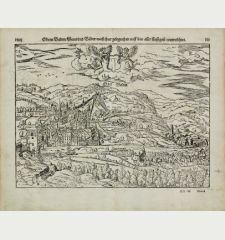 Sebastian Münster: Der Statt Zürich in Helvetia ... / Contrafactur Der Statt Zürich Anno 1595.